Following the dissolution of the Soviet Union in the winter of 1991, the newly-formed Russian Federation took on the challenge of creating a market-oriented economy from the world’s largest state-controlled economy. President Yeltsin’s economic reforms led to hyperinflation and loss of financial security for many who had depended on state pensions, and Russia’s GDP contracted an estimated 40 percent in seven years. Adding to the complexity of making this transition was Russia’s decision to settle the USSR’s huge external debts. State enterprises were privatized and foreign investment encouraged, but changes in elements needed to support this transition, such as commercial banking and laws, did not keep pace. Nonetheless, many Russians did prosper in the new economic environment and by the mid-1990s were enjoying the same luxury brands and fast food as their Western counterparts. 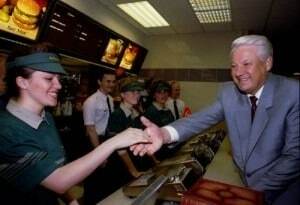 Most notably, the first McDonald’s opened in the USSR on January 31, 1990. A number of U.S. entrepreneurs saw the newly-opened market as a business opportunity, but the obstacles were daunting. Russian Federation officials tried to maintain control of parts of the market and imposed protectionist measures that made it harder for U.S. investors to operate. Some could not make a profit and were forced to give up. 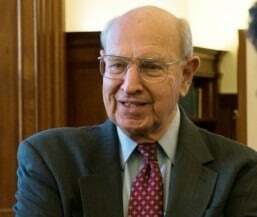 Thomas Pickering, U.S. 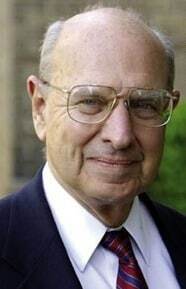 Ambassador to Russia from 1993-1996, watched this economic transformation unfold from a unique perspective. In his 2003 interview with Charles Stuart Kennedy, he recalls the U.S. role in Russia’s post-Soviet transition. Listen to the podcast. Learn more about Russia and the Soviet Union. Read Ambassador Pickering’s account of the UN during the 1991 Iraq War. Russia was at that point becoming more dependent on imported goods, particularly luxury processed food goods for a small element of the population that could afford it. The rest of the population depended a lot on what they were able to raise themselves and in some ways on the very rickety sporadic national distribution system that provided stuff in the local markets, so it was not easy. Initially, certainly before I got there but after ’91, there was a wave of imports: everything from Snickers bars, which were quite famous, to wheat and grain. Of course, interestingly enough, increasingly chicken legs, which the Russians seemed to enjoy and which helped the major producers of chicken in the United States figure out what to do with the legs, which were not wildly saleable in the U.S. So it was a complimentary relationship that made for a lot of good. But the Russians saw this as an attack on their ability to produce for themselves… We’ve been through several chicken wars in which the Russians, in a fit of national preoccupation about health and sanitation, used phytosanitary requirements to deny inputs in a particular area, often for protectionist purposes. Then for a long period of time they wanted to have their vets travel and visit every one of the processing facilities in the United States to approve it and to make sure, in effect, that it met their high standards, high standards which are applied at the border for imports, but not internally. So this raises a difficult problem, not that anybody should export to Russia (or anyplace else) material or meat that doesn’t meet sanitary conditions, but it was clearly an effort thinly disguised which was protectionism as opposed to real health concerns. Well, there was a basis in part for protectionism because they got an awful lot of pressure from their farmers for that particular protection because we could sell what came to be called in Russia “Bush legs” [Note: U.S. poultry firms exported the dark meat, mostly drumsticks, to the Former Soviet States as most Americans prefer white meat. These large packages of frozen chicken drumsticks came to be called “Bush legs” after President Bush whose Administration negotiated the export sales] a lot cheaper than they could produce them — in large measure because of the highly developed nature of U.S. agriculture production, particularly in these areas. It is a big deal and it involved initially $500-600 billion worth of U.S. exports on the one hand and a lot of Russian concern [was] about how to nurture and develop their own chicken raising industry on the other. As someone put it to me, [going to McDonald’s] was a way the Russians could take a trip to the West without having to pay the airfare or get the visa. The third [McDonald’s] store was in that sense equally remarkable in terms of public attention to it and the degree of focus on it and all the rest. 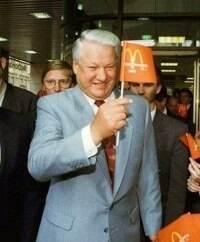 One of the interesting things was the story that when Yeltsin asked the lady supervisor of that particular McDonald’s how much she made, she apparently made more rubles than he did, although with all his perks, his full income was obviously considerably larger. But the other interesting thing was that McDonald’s was pretty ruthless both in its training and in its vetting of its Russian employees. 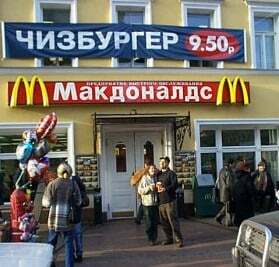 There was lots of unemployment then in Russia so they could insure a fairly high quality of service, but it was not something that naturally came in the Russian psyche to provide the kind of service that McDonald’s was used to providing its customers. This was one of the things that represented an unusual change in the early days of post-Communism. McDonalds would take and train employees but would rapidly let go of those that were not able to adjust to the service ethic they wished to provide. It was also true that, in terms of this competition for marketing, within a few years it drove Yuri Luzhkov, the mayor of Moscow and an interesting and very fascinating figure on his own, to begin to establish his own Russian fast food chain. Most of it began after I had left, but it obviously had some competitive capacity and served what were particularly Russian fast foods, a lot of kasha, cereal and things of that sort, not so palatable for western tastes, but it did market to the large Russian audience who wanted this. It represented a less heavy dent in their income than McDonald’s, although McDonald’s prices were certainly comparable to what was charged in the U.S. and elsewhere around the world. It was for the Russians a real luxury evening out with a comparable expenditure…. A few months before I left, Coca Cola flew in 22 bottling plants in very large Russian airplanes (AN-124s), set them up in buildings that had been built for them in various places in Russia to start the “Coca Cola-ization” of Russia. Previously Pepsi, beginning under the communists, had enjoyed a monopoly American soft drink relationship in the country. Mars, the famous American candy company, began by getting special arrangements and customs duties to import large quantities of its candy bars. But in keeping with the commitment it made, it did build a fully self-sustaining separate plant in a region outside of Moscow to produce its own products. It fought the battle of getting raw materials and other things in. It was a very modern and very effective plant. When McDonald’s came in they decided that what they had to do to maintain quality was, almost all of the processing of everything they had was kept in a central location, rather than parceling it out to contractors and insisting they meet McDonald standards — a Moscow central supply operation. I think later they were vindicated because when I was there they may have had seven or eight restaurants in Moscow, by the time I left in ’96, they have some 70 all over Russia. Obviously the centralized arrangement allowed them to do centrally what they would otherwise have depended on contractors from many other countries to do, because that capability didn’t exist in Russia. …[There was] a significant number of young Americans of Russian extraction, often with the language, who came back, and some successfully (for a while) started banks and other things. Most of them, like non-Russian speakers and non-Russians, Americans with no Russian antecedents who also came over to start businesses — they were quickly squeezed out. In essence they would whip up a partner because Russian law required it and, dealing with Russia, you needed some element of partnership to get through the bureaucracy and everything. The partner would often turn out, after a year, to be in close cahoots with the local government. After all, how else could he have gotten to be a partner? Through the operation of perverse regulation, sometimes introduced especially for the purpose, the American would suddenly find himself out of the partnership, his investment fully in the hands of the Russian partner operating it for him. Then the American’s only option was to pack his bag and go home. This was, of course, very disturbing, but pretty typical of what happened in that period. I always used to say to American investors in this kind of activity that you had three areas where you had to know people particularly well if you wanted to be successful investing in Russia: your partner, the local government up to the regional level and the federal government. Once you had a very strong feel that you had those well in hand and well ordered, you then had some opportunity for a life-long investment. But those were very rare, and very few Americans ever had that kind of confidence or capacity. We were often approached by members of Congress on behalf of Americans who had gone through this process, many of them before any of us had a chance even to warn them, almost unknown they went in off on their own and did these things. Nobody that I dealt with thought that it was enviable that the Russians had to go through this period, but as you know, they are still in it. And to some extent it comes from, first, the notion that when Communism collapsed there were no rules for the operation of an open market. Now Adam Smith would tell you by definition there should be no rules, but we all know, in fact, that a successful operation of capitalist economies depends very heavily on government rule-making and regulation. They don’t depend so much on what the Soviets saw, which was the government producing goods and services. So as the Russian economy shifted from the government production of goods and services, there was a complete prohibition against private enterprise one day and suddenly the next day there was full permission for private enterprise with no set of balancing rules and regulations. These covered meeting health requirements or dealing with their labor or, you know, how to operate in the market, or whether trusts were or were not possible, whether prohibited market practices, strong arm enforcement or anything should be outlawed. In effect you went from total prohibition to the Wild West overnight. Russians are not dumb, and the most successful are smart as hell, and learned how to take advantage of all of this, including the fact that they learned all the tricks and invented new ones in order to amass large amounts of personal wealth to build their fortunes. Now some of them were really rapacious and always stayed rapacious; they only cared about personal fortunes. Most of those guys fell off the wagon; they were not capable of converting rapaciousness into competitive aspects of economic endeavor that made things go. Others were less so. Some even, like [Russian businessman] Mr. [Mikhail] Khodorkovsky (seen left), were converted on the road to Damascus to a more open and enlightened practice. So Mr. Khodorkovsky, quite famous at least in terms of his publicity and I think his actions, tried to move to open boards, work with reasonable governments, a lot of transparency, participation of successful entrepreneurs in the charitable part of the economy and all the rest. He, of course, suffered for it. 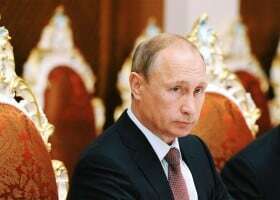 He grew to have political ambitions and to some extent they crossed over where Mr. Putin thought he ought to be. So he ran up against the one hard barrier at that point in Russia, which was government interest. In a sense a lot of these folks were very successful because they pandered to, supported, some even controlled government interest. It is said that Mr. Putin’s big problem with the two leading oligarchs he caused to move away, [Russian businessman] Mr. [Boris] Berezovsky and [Russian media tycoon] Mr. [Vladimir] Gusinsky, was that between them they controlled most of Russia’s TV. In controlling most of Russia’s TV, they made or broke Boris Yeltsin. Boris Yeltsin, in return, did favors for them to help them improve their oligarchic activities, while at the same time they did favors for him to help him improve his political success. Mr. Putin saw that back scratching was dangerous because it put him in a position, perhaps newer to the scene when he came on and less strong than Mr. Yeltsin, to be prisoners of the oligarchs rather than to function in a mutually balanced system or indeed, as Putin prefers, to control the process. So part of the past history of the ten years or so of Mr. Putin has been whether he will be controlled by or actually control the oligarchic element in Russia. He has used all the state power and all of his positions to assert his control over them rather than the other way around. In the meantime, the Russians have begun to pass laws regulating business, but it’s not in my view necessarily too far still from the Wild West. There are more obligations of responsibility and in the end, in Russia having no rules to run the economy, meant that the government could do what it wanted. It was not bound by Rule of Law in the way it could use all the elements of state power and all of the traditional activities, say, of the intelligence and security agencies, to put pressure on the oligarchs. It meant the development in Russia of what has come to be called “kompromat” material which puts the individual in an embarrassing, invidious or totally blackmailable position. That is what all Russian leaders try to get on everybody so they can have their way in dealing with issues. But they could also use the perversion of the prosecutorial system which was, after all, still, in the early aftermath of Communism, very much a Communist arrangement. It meant that the chief individual in the judicial system was the prosecutor and the judges and all the attorneys and everybody else followed his lead. That’s the way in which Communist law operated and that’s the way in which individuals were subject to the so-called Rule of Law or the Law of Rule, maybe in Russia. A lot of that hung over into the days of Yeltsin and Putin. Yeltsin for his part tried to break some of that down and saw in fact that judicial reform could play a role, and a lot of westerners were pushing hard to make that happen. You had some enlightened judges, but you had many judges obviously who preferred the old system. It was better for them. They did better under the old system. They made more money, they prospered, they had fewer problems and all the rest. 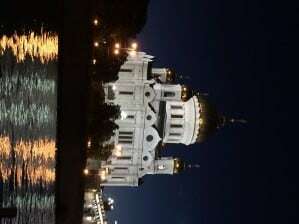 [Oligarchs] exercised, as I said, a great deal of influence over President Yeltsin and his bureaucracy. Putin didn’t want that. It is worth looking at the oligarchs. Some of them had been, in effect, “fixers” under the Soviet system. As such they had close relationships with the internal elements of the KGB. They provided the unofficial means for assuring that industrial establishments got raw materials and spare parts when the Gosplan [the State Planning Commission, responsible for central economic planning in the Soviet Union] allocations of such did not function effectively to make that happen. Many industries were vertically integrated and provided, in one plant, the materials and processes necessary to make end products. However, even then, some outside dependence was necessary. The fixers located the material and spare parts and arranged, for a price, to have it moved to the plant they were serving that needed it. They jumped on the bandwagon of buying for kopeks on the ruble the 10 ruble vouchers given to every worker, with the idea of stimulating ownership in industry. They accumulated large amounts of the vouchers which they used to privatize industry, sell off assets or convert the industry to production in the domestic economy…. I had an opportunity to get to see [the oligarchs], certainly not very much to influence them. They were very standoffish and a lot of them kept themselves at some distance because they knew or assumed we were not supporters. But it was interesting that, while I was there, some had become incorporated into the government directly.